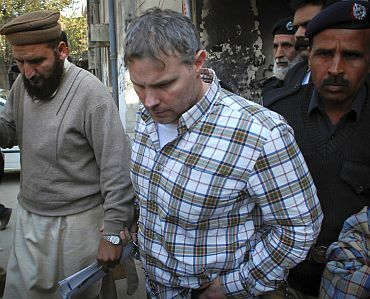 Reliable sources in Pakistan have said that the acceptance of blood money by the heirs to the two Pakistanis who were killed by Raymond Davis on January 27, 2011, their withdrawal of the murder complaint against him, his release from detention in the Kot Lakpat jail of Lahore and his airlift from Lahore to the Bagram air base of the United States in Afghanistan and subsequently to the US naval base in Diego Garcia on March 16, 2011, followed an agreement reached between the Inter-Services Intelligence and the Central Intelligence Agency. This was during talks held in Oman under the aegis of the Saudi intelligence under which the CIA has agreed not to run its own human intelligence network in Pakistani territory. 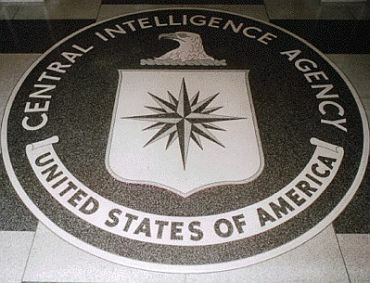 Under this agreement, while the US would be free to run its technical intelligence network, which provides TECHINT for the operations of the United States as well as Pakistan in the tribal belt, the US HUMINT requirements would in future be projected to the ISI, which has agreed to strengthen its HUMINT capability with assistance from the CIA. To avoid embarrassing allegations of payment of blood money by official agencies of the US or Pakistan, it was reported to have been paid by the Saudi intelligence in the court before which Davis was being tried in Lahore on March 16. 1) Deployment of an increasing number of retired officers of the US intelligence community and Special Forces as contract employees in Pakistani territory without the knowledge and approval of the ISI for collecting HUMINT. 2) Ex-post facto grant of diplomatic status to them after they had arrived in Pakistan with official or ordinary visas by showing them as members of the staff of the US diplomatic mission in Pakistan. The sources say the CIA has agreed to end both these practices. The agreement will not come in the way of the posting of regular staffers of the CIA under diplomatic cover in Pakistan for liaison with the Pakistani agencies. It will also not come in the way of officers of the Federal Bureau of Investigation being posted under diplomatic cover as legal attaches in the US missions to liaise with the Pakistani intelligence agencies and the police. Raymond Davis, who was shown as a member of the technical and administrative staff of the US consulate-general in Lahore, had reportedly arrived in Pakistan with an official and not a diplomatic visa. 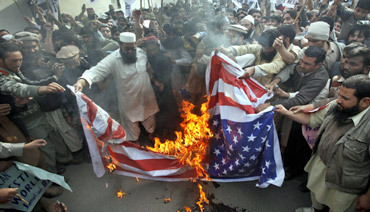 He was subsequently shown by the US as transferred to the US embassy in Islamabad, which upgraded his status to a diplomatic one. But he continued to function from the Lahore consulate. 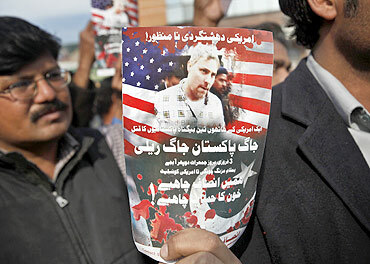 The unilateral upgradation of his status by the US embassy had not been accepted by the Pakistani foreign office. The option of blood money had been there from the beginning, but was not seriously considered because the heirs to the two Pakistanis allegedly killed by Davis were under tremendous pressure from the Islamic fundamentalist organisations to not accept it. The ISI refrained from pressuring them to accept the blood money, but once the US agreed to accept the ISI's demands in respect of HUMINT operations, the ISI intervened and persuaded the legal heirs to accept the money and move for the withdrawal of the prosecution of Davis. Can ISI control the fallout? 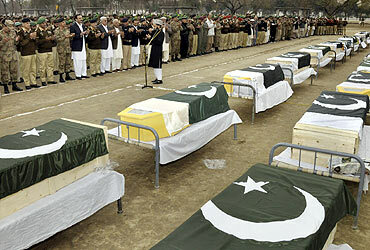 The adverse public and jihadi reactions in Pakistan to the release were expected to some extent. The government is hopeful that the ISI, which handled the negotiations, would be able to contain the protests through its influence over the fundamentalist and jihadi organisations and prevent any new wave of reprisal attacks. Lt Gen Ahmed Shuja Pasha, director-general of the ISI, has been given an extension of one more year from March 18, when he was due to retire. But one should not over-estimate the ISI's ability to control the Tehrik-e-Taliban Pakistan and the Sunni extremist Sipah-e-Sahaba Pakistan and Lashkar-e-Jhangvi. The recent assassinations of Salman Taseer, governor of Punjab, and Shabaz Bhatti, minister for minority affairs, showed the limited nature of the ISI's control over these organisations. The ISI has fairly effective control over the Punjabi Taliban organisations such as the Lashkar-e-Tayiba, the Afghan Taliban and the Haqqani network, but its control over the TTP, the SSP and the LeJ is very weak. Serious reprisal attacks could come from these organisations. Pakistan could be in for a renewed spell of reprisal suicide terrorism directed against the ISI and the political leadership. Does the agreement also provide for the eventual release of Aafia Siddiqui, a US-educated Pakistani neuroscientist, presently in jail in the US after having been convicted on charges arising from her suspected collaboration with the Afghan Taliban? The answer to this is not clear. Aafia's case is much more complex than that of Davis. She has already been convicted whereas Davis was only an undertrial.